Item # 308769 Stash Points: 2,799 (?) This is the number of points you get in The Zumiez Stash for purchasing this item. Stash points are redeemable for exclusive rewards only available to Zumiez Stash members. To redeem your points check out the rewards catalog on thestash.zumiez.com. 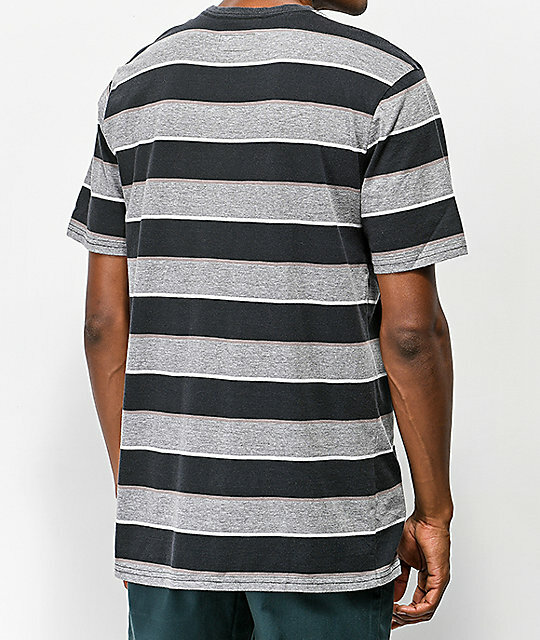 Known for their high-quality designs, Brixton presents the Hilt black and grey striped t-shirt. 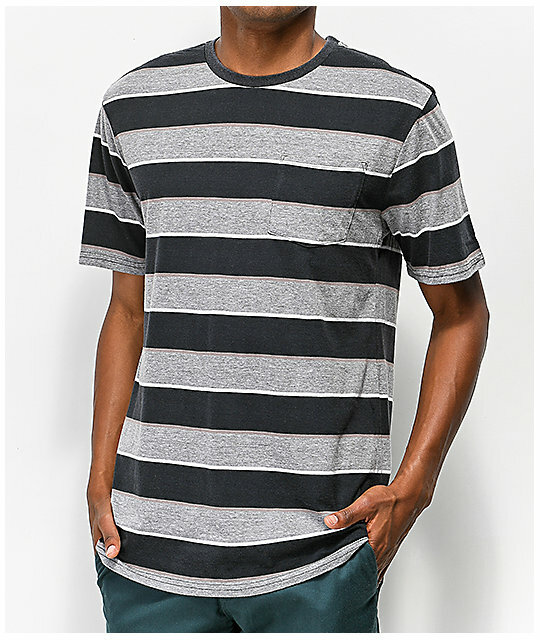 This lightweight tee features a black, grey and white striped design throughout and is finished with a left chest pocket for convenience. 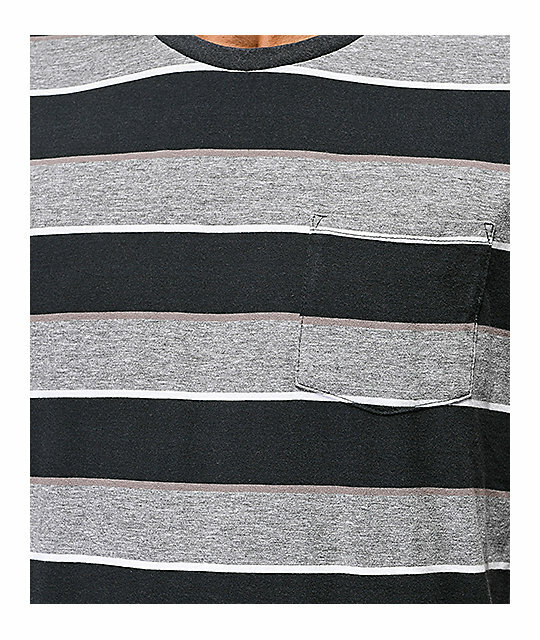 Hilt Black & Grey Striped T-Shirt from Brixton. Grey, black and white striped pattern throughout.